Word by Word teaches the meaning and pronunciation of every Hebrew word in the book of Genesis. It teaches one word at a time, in Bible sentence context and as a standalone word. It can read in auto mode, or you can set the pace of study to your personal preference.To further clarify the pronunciation of the Hebrew, each word is transliterated, as well as pronounced. We all know that a good foundation in Bible Vocabulary is essential to understanding the Bible. Word by Word will give you that, and more. 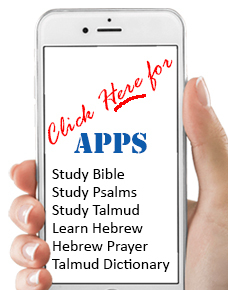 It will increase your Hebrew Reading ability and comprehension. It is an essential Bible Study tool, that will help you develop Bible Study skills that will last a lifetime. Learn at your own pace - word by word. Learn the Meaning of every word. Learn the Pronunciation of every word. See English transliteration of each word in Sephardic pronunciation. See English transliteration of each word in Ashkenazic pronunciation. View English translation of each verse in context. Every word Narrated, Transliterated and Translated in English. View text in selection of large E-Z Reading Fonts with Vowels. Interactive Review of each lesson + Tracking of progress. Global Review and tracking of words that require further study. Printout of words missed with corrections & transliteration for review away from computer. Printout of Bible Dictionary word lists for study away from the computer.